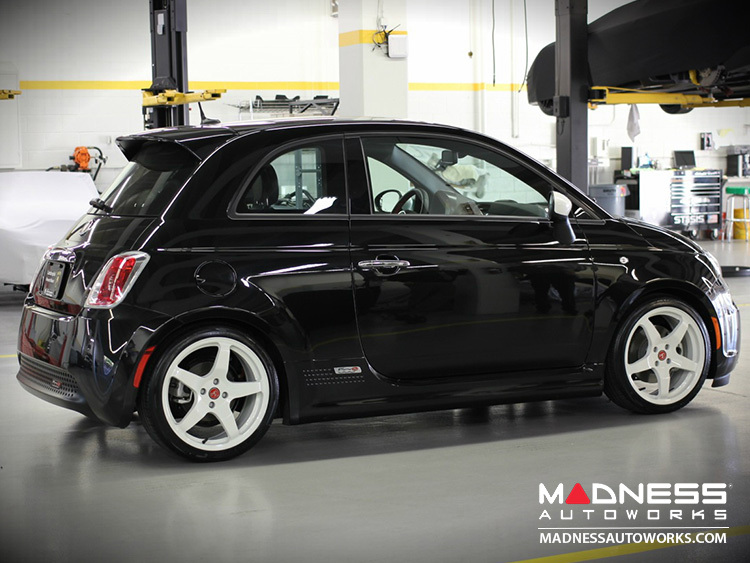 Ready to upgrade the handling of your FIAT 500e and give it a nicer stance? 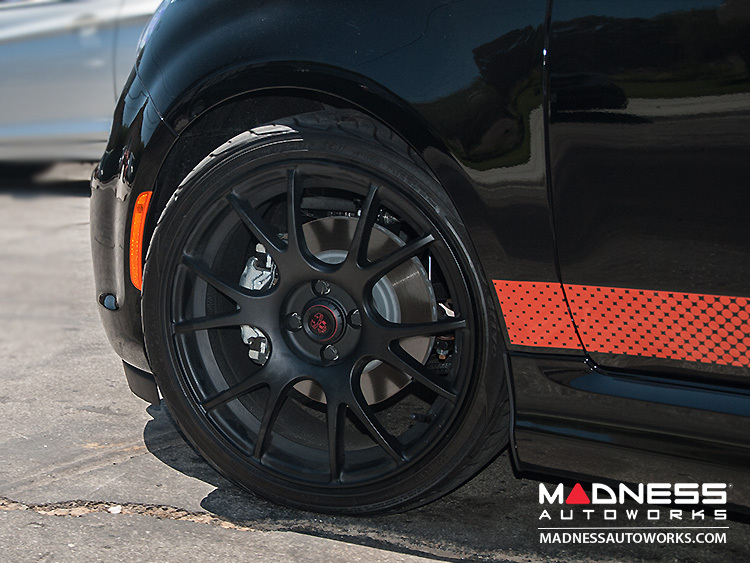 This set of MADNESS Lowering Springs has been designed exclusively for the FIAT 500 Electric. 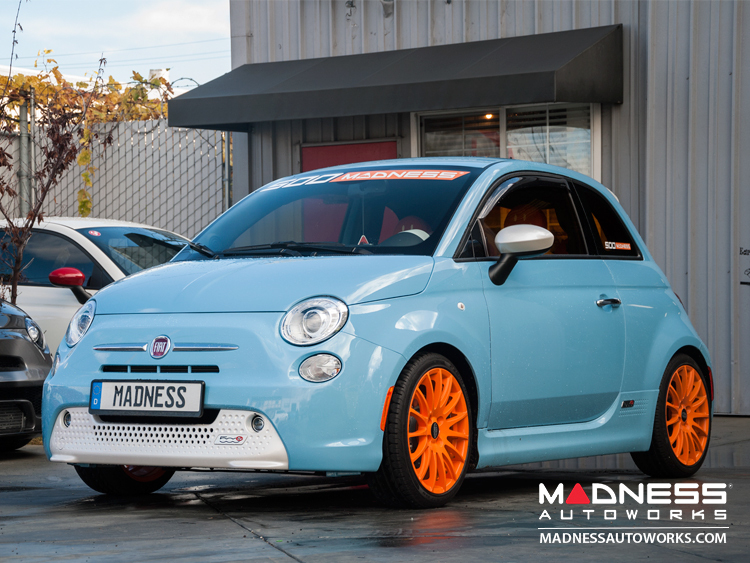 The MADNESS FIAT 500e Lowering Springs were developed as a joint effort between us (MADNESS) and our European Partners that produce some of the best performance spring in the world. 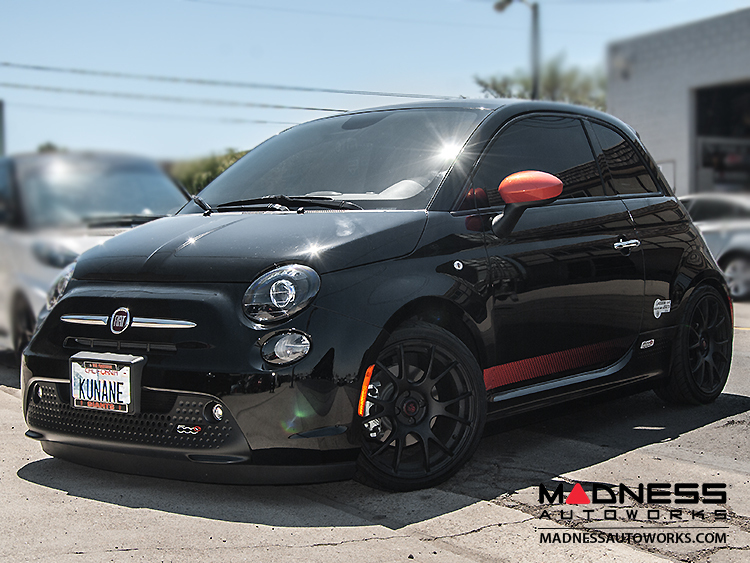 We offer a wide range of lowering springs for the FIAT 500 and do not simply offer a "One size fits all" solution. 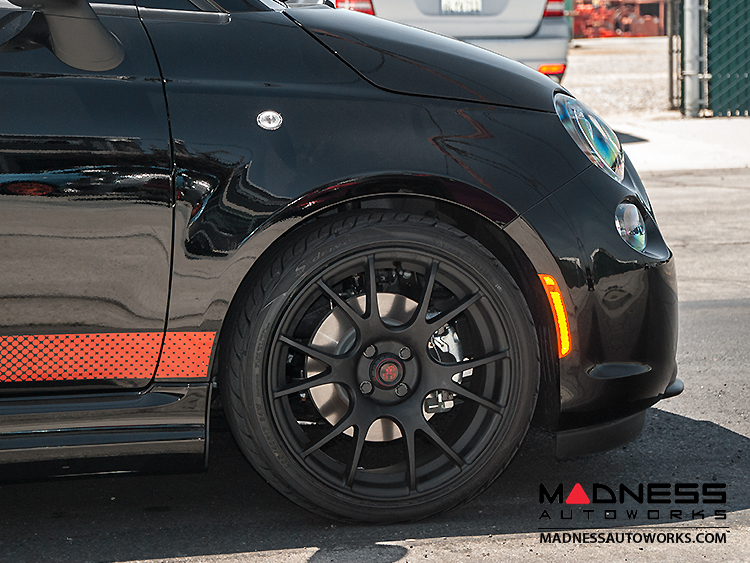 Our MADNESS Edition FIAT Performance Springs now come in a version specifically designed for the 500e. This set is designed to give the car a drop of approximately 2". 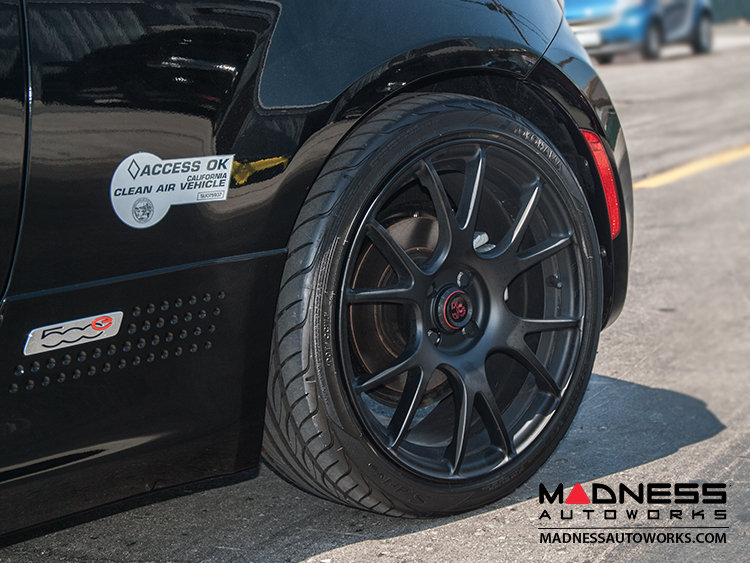 The set is designed to give the best ride possible while giving you a substantially more aggressive drop. The springs needs for the electric version of the 500 are different then regular springs offered elsewhere. If you simply install a set of springs that were designed for the non electric version on the 500e you will end up with a car that is much lower in the rear (due to weight of batteries). In addition, the vehicle will not drive correctly. 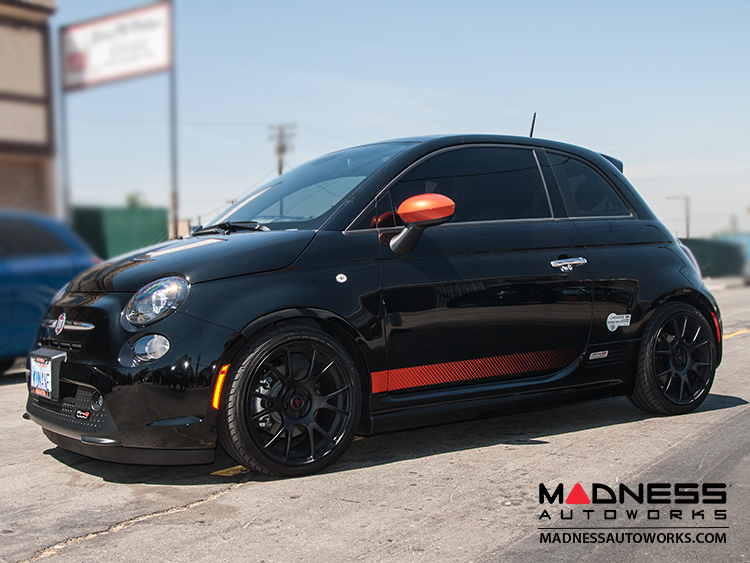 If you want to lower a 500e, this set is the way to go. 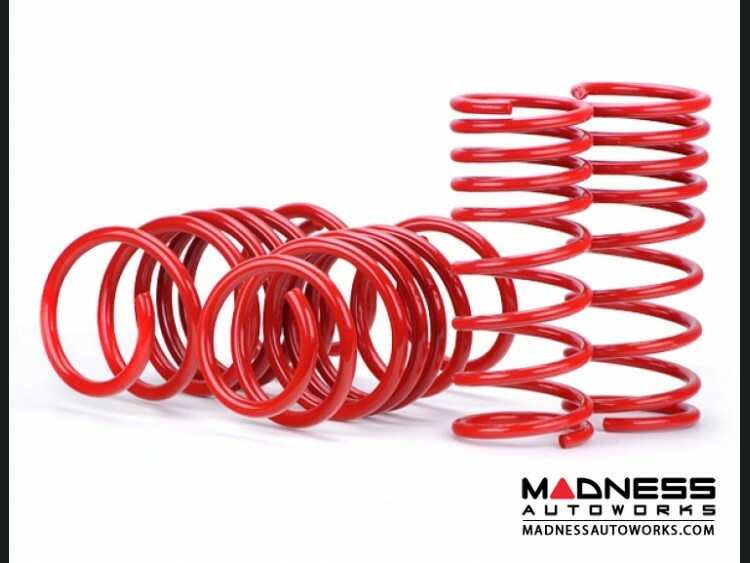 Alignment is recommended with springs, suspension kits or coil-over kits. Please note! Lowering the 500e will change the way the vehicle rides, handles since suspension travel is more limited with these springs.